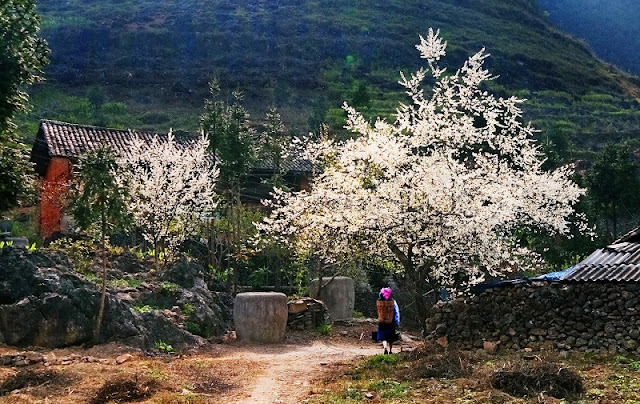 After the cold winter day, earth and sky suddenly woke Northwest when concentrations spring flowers spotless white plum, peach flowers blooming first ruddy hillside, fences and on the road. 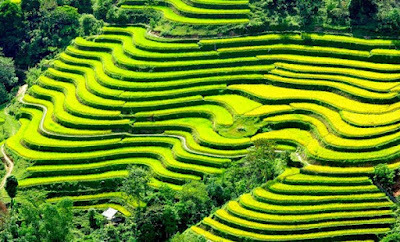 Lost between pure flower gardens featured on the young green leaves lingering mist, your soul will be more palatable as going on a thousand floating clouds. 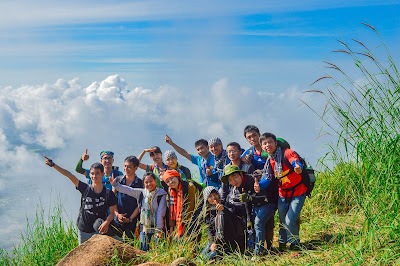 If last year is a Moc Chau opportunities and brilliant shimmering wonderful peach, plum, after Tet is the time of plum, peach blooming in Ha Giang, combined with improved service last yellow carpet, creating a spring picture on the strip to plateau riveting. 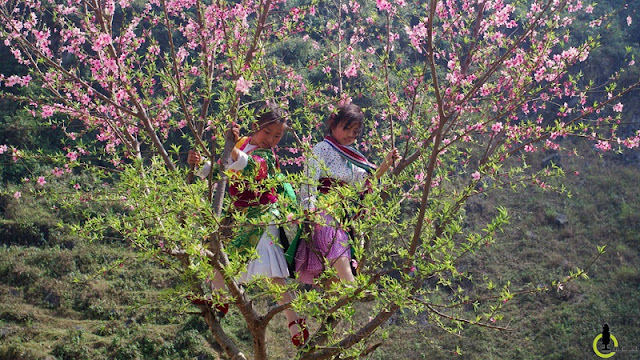 Peach, plum attracts many travelers stop roadside enthralled watching a new spring bud. 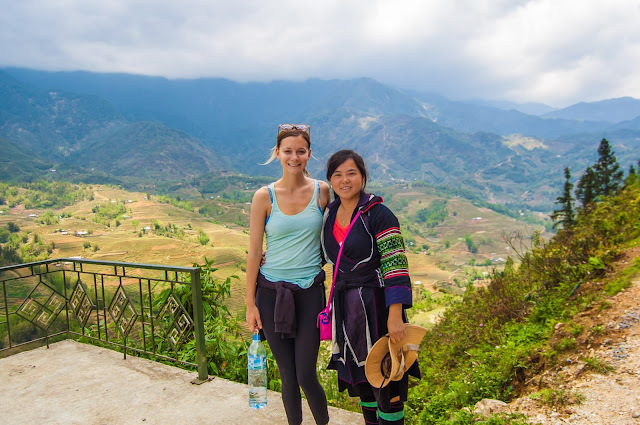 Cultural tourism village commune Lung Sung Jin is, Dong Van District - home studio where "Story of Pao" - as usual is the most favorite destination of tourists by the most characteristic scenery of Ha Giang: the tiled roof, stone fences. 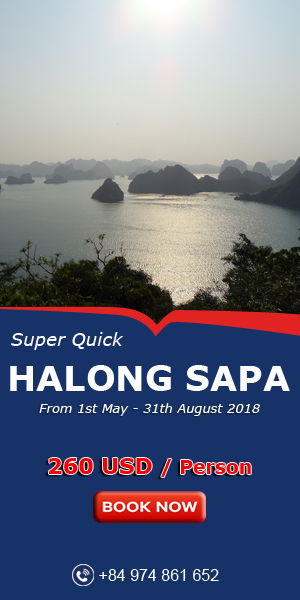 Coming to Ha Giang the days after the New Year, to be able to immerse yourself in the most beautiful spring color in the most beautiful time of the year.